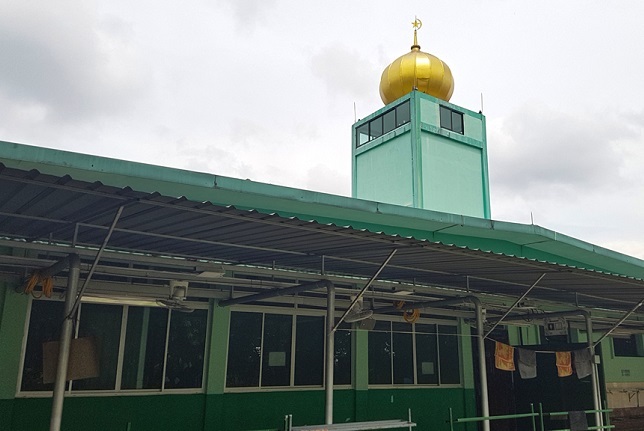 The single storey mosque with a signature gold-painted dome on top of its minaret has been situated on top of Clementi Hill since 1961. The mosque's opening on 30 March 1962 was officiated by Tun Haji Yusof Bin Ishak, the Yang Di-Pertuan Negara (Head of State) of Singapore then. Unique to this mosque, Tun Yusof reviewed a Guard of Honour contingent made up of Muslim servicemen during the opening ceremony. During the British Army's withdrawal from Singapore in the late 1960s, the mosque came under the management of the Singapore Government in 1969. It was rebuilt and the opening of the mosque was officiated by Tun Yusof again, this time as the President of the Republic of Singapore.